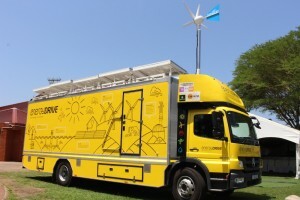 A mobile truck and customized container designed by the Energy Technology Station has been built and is equipped with renewable energy equipment, having a 2.5 kW photovoltaic system on its roof. The truck is also equipped with a 600 kW Kestrel turbine, a biogas digester, an energy efficiency booth and various other renewable energy demonstration units. This project will take on the form of a roadshow and the truck will travel nationally visiting rural schools and TVET. The purpose of the Green-Ride project is to enhance the skills training experience and to create awareness amongst rural communities on the benefits, use and installation of renewable energy technology as well as promoting energy and water training programmes offered at DUT. The main funders of this project are the Energy and Water SETA (EWSETA), Chevron and Nedbank. 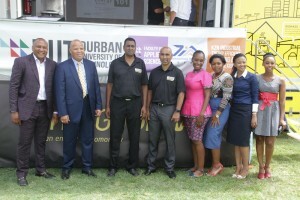 The DUT energyDRIVE Project, which is being run in partnership with the Energy and Water Seta (EWSETA), Nedbank, Caltex Chevron and Conlog, was launched on 06 December 2016 at the DUT Ritson Campus. 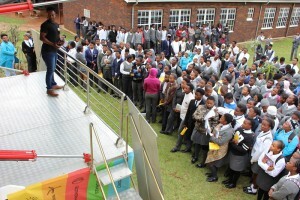 Grade 10, 11 and 12 pupils from AD Lazarus Secondary School was invited to this event and the launch of this flagship project was a huge success. 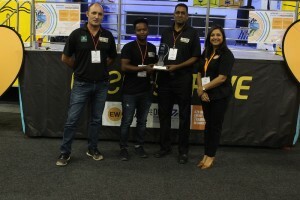 The EWSETA has invited the IEETR Centre to launch this innovative project at the Africa Energy Indaba on the 20-22 February at the Sandton Convention Centre. This project received the runner-up award at the convention. 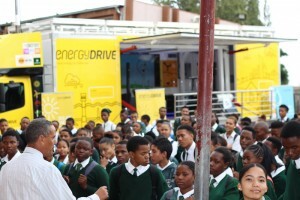 During the visit to JHB the IEETR Centre decided to start the Road Show, 3 schools were visited namely, Thembisa West Secondary, KwaDukathole Secondary and CJ Botha Secondary wereby grade 11 and 12 learners were educated on the renewable energy and given an opportunity to explore the enerydrive truck. The IEETR Centre collaborates with clients in the research, development and prototyping of innovative energy projects. The centre also participates in various community and industrial engagement projects in renewable and sustainable energy. Below are details of some of the completed and ongoing projects. A 5.1 kW Wind and Photovoltaic Hybrid System was designed and implemented at the Saphumula Secondary rural school in the Ugu district of Umbumbulu. The system provides power to light up all the classrooms and other equipment that the educators need to use to support them while teaching. A complete weather station was installed at the site. The installed system acts as a research facility for energy studies and the data is accessible from our dedicated radiation monitor laboratory at DUT. This project was funded by Iqraa Trust, the Muslim Charitable Trust and Catoridge Electrical and the Technology Innovation Agency. This is one of our renewable energy demonstration projects. The project aimed to showcase the sustainable utilization of solar energy for lighting especially off grid areas using latest compact design combining LED lighting with solar PV systems. 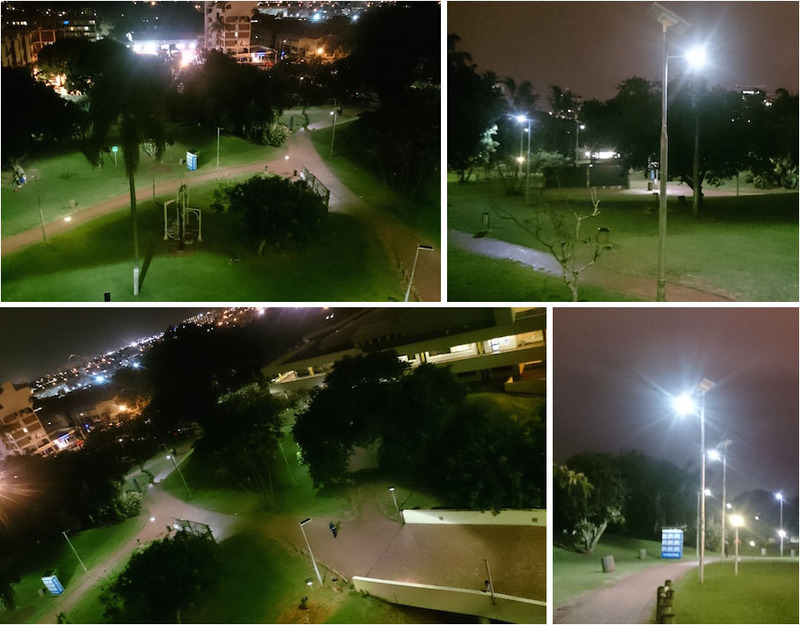 Total 25 lighting systems have been installed at Steve Biko campus, DUT (See Picture below) to demonstrate and make aware of the technology functioning and assess the long-term performance of the technology. Each of the systems includes a 70Wp poly crystalline solar panel, 240Wh Nickel metal hydrides battery and 50W LED light with maximum lighting efficacy of 152lm/W. The project was designed using the google map tool for identifying the suitable sites (didn’t have conventional lighting and were quite darker places in the night time) for lighting campus area optimally. The project has been done in conjunction with Schneider Electrical (the funder).